Mention you found us on Instagram and receive a deluxe natural amenity kit by our friends at Boka at your first visit. We’re excited to partner with you so you can reach your best dental health. We know life in New York can be busy, so we applaud you for taking time to look after your wellbeing. Request an appointment today, and receive a deluxe natural dental amenity kit from our friends at Boka at your first visit when you let us know you found us on Instagram. 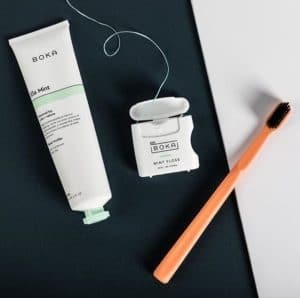 The kit includes a Binchotan activated charcoal brush, Teflon-free and petroleum-free floss, and biocompatible mint toothpaste with cardamom and green tea extracts.